Don’t you LOVE it when things just work? And today’s project is one of those things that just worked!! It really didn’t take me much time to get this card made…I think one of the reason’s for that, is because I stuck to one product suite. By allowing myself to chose products from within a pre selected group, I removed the need to spend a lot of time sorting through my entire craft stash & procrastinating trying to decided which items to use. Stampin’ Up! Petal Passion Suite Single Bloom Card, Stampin’ Up! 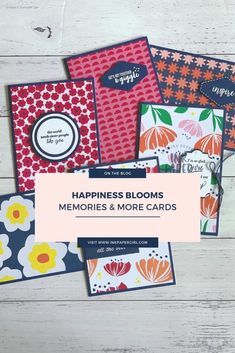 Occasions Catalogue 2018, Stampin’ Blends, Ink Paper Girl with Katrina Duffell Independent Stampin’ Up! Demonstrator, Sydney Australia. So what did I use to create this sweet & simple card? The aptly named Petal Passion Suite. 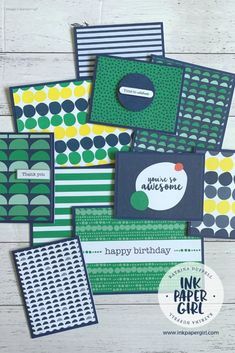 It’s definitely one of my FAVE suites from the new Stampin’ Up! Occasions Catalogue. You can view the entire Petal Passion product suite online by clicking here. The beauty of this product suite lies in it being a predominately black & white colour scheme. Black & white always looks elegant & classy. It’s easy to use for both feminine & masculine projects & of course you can always add a pop of your favourite colour to really personalise what your making. The colours that I’ve chosen to add to today’s card have been inspired by this weeks Just Add Ink Challenge #395. For more inspiration, click here to view all of this weeks entries. I find it really hard to resist a pretty pink bloom, so I coloured my flower in using a selection of the new Stampin’ Blends. Once you get used to using them they really are fantastic to work with. I blended the light & dark Pink Pirouette Stampin’ Blend markers, with a little of the light Calypso Coral, to create a soft blush pink for the petals. I was able to help create extra depth & interest to the shadows, by blending in touches of both the light & dark Rich Razzleberry Stampin’ Blend markers. I hope you’ve enjoyed today’s card…. If you’d like a try out the new Stampin’ Blends markers for yourself, but aren’t quite sure where to start, make sure you watch this great beginner video from Stampin’ Up!. Want to experience the new Stampin’ Blends & Petal Passion Suite for yourself? Then make sure you book into one of my Petal Passion Suite card classes. Bookings are now open, the classes will be held in April. Simply click on the images below to go straight to the information & booking page. This is so pretty Katrina! I love how dramatic your flower looks! 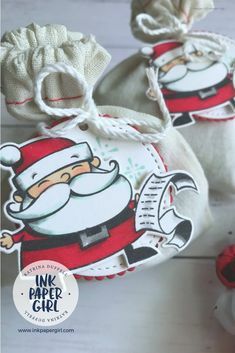 Your colouring adds such depth and it’s balanced so well with the embossing details. Thanks for sharing with us at Just Add Ink this week. Katrina what a stunning creation! You got such wonderful depth of colour in your flower and I love the contrast to the white textured background.Thanks for joining us at Just Add Ink this week. I love the extreme Black outline with the blending of color. Your card is very striking in every way.